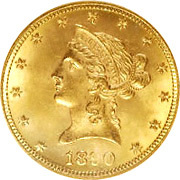 Also see our Circulated Gold Coin Inventory for more outstanding quality at lower prices. Not all quality coins are equal, even those graded, certified and encapsulated ("slabbed") by Numismatic Guaranty Corporation of America (NGC) or Professional Coin Grading Service (PCGS) . We have carefully examined and cataloged over 100,000 of these coins in just the past year alone. 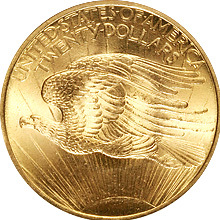 In our experience, we have noticed that both PCGS and NGC coins in grades as high as 65, 66, 67 and even 68 can be found with slightly soft strikes to obviously weak strikes, ugly toning that can be dull and lifeless, noticeable spots (as opposed to ones that would take time to find under heavy magnification), as well as easily noticeable, large or heavy bagmarks that some of their other 66, 67 or 68 counterparts may not have. In other words, one can compare, say, ten MS 65 certified coins of any particular type, grade or denomination, whether it be gold, silver, nickel or copper, and see slight variations in quality, as no two coins within ANY series are exactly alike. We have seen perhaps a hundred coins that were certified as MS 70, (meaning perfect) but by our strict standards, none of these coins were perfect. Granted, these coins are "oh-so-close" to perfection. But we are strict graders who go by forty years of experience. We look hard enough and long enough, and have always been able to find a tiny flyspeck, or a microscopic lent mark, hairline or contact mark on all MS 70 PCGS and NGC that we have examined. In our opinion, "perfect" should mean perfect, not "perfect, but....". Such nearly-perfect coins would grade 67, 68 or 69 at best by our standards. While few man-made coins can be absolutely perfect, there are rare coins that can be absolutely beautiful and appear perfect to the unaided eye. We realize that if we become too picky than we could never complete a collection. We only sell coins that we ourselves would like to own. 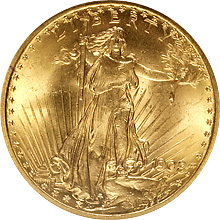 Therefore, all of our coins are, whether "slabbed" or in our own holders, are among the finest and best of the coins we examine for purchase, only the top 5% of coins in any given grade meet our criteria This means that our uncirculated and proof coins are dripping with original beautiful white mint blast or with gorgeous light golden lustrous toning, with no spots nor distracting marks. Carefully chosen for museum-quality eye-appeal, unlike many on the market that are much too darkly toned. For circulated grades, many certified coins can have unsightly spots, many heavy circulation marks and even have been cleaned. None of our coins will be unless otherwise noted. We only sell spotless coins with as few marks as possible and with great eye-appeal. Below you will find the best of the best that require a lot of extra time and work sorting out from the less desirable coins. These are high-end beauties. What we mean by high-end, is that a coin can grade 64, for example, but look 65 or have superior, 65-quality eye-appeal. 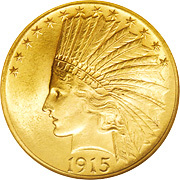 Below we offer a selection of the most popular gold coins in the world. By letting us choose the dates, we will always include better, scarcer dates, not the most common dates. 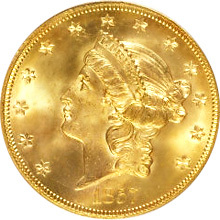 Therefore you can own quality, better gold coins, but do not have to pay several times more for increased rarity. 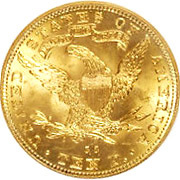 However, for multiple orders, we will not only include different dates, but we will include some of the harder to find, better dates, These are the better gold coins you want to order, both in terms of quality and scarcity. 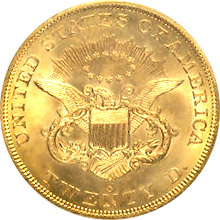 A scarce and popular short-lived type coin. Lasting only two years until the public protested that "In God We Trust" was left off! We offer these at an especially low price to introduce you to our quality and service. A. ) $20 Liberties, Mostly 1870s to early 1900s - All over 100 years old. Another famous "Atheist" Issue. A scarce and popular short-lived type coin. 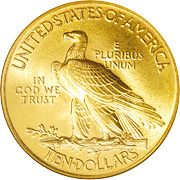 Lasting only two years until the public protested that "In God We Trust" was left off! We offer these at an especially low price to introduce you to our quality and service.